I am thinking of going to Ban Chang for a little beachside relaxation. However, I am finding out that there are some potential challenges. For example, from what I gather from the hotel, there are no local transportation services available. For example, if I wanted to go from the Phala Beach area to the center of "things," there are no taxis or other conveyances available to get me there and back. Similarly, I am hearing that there is no way to get to U-Tapao from that beach area except for taxis that they arrange to come out from Pattaya. That makes a bit nervous as regards reliability. Finally, I have read some reports that U-Tapao is not up to handling all the tourist traffic for Pattaya and it can take a very long time to get through security etc... even to make a flight within Thailand (CNX) actually. Is this all accurate? If so, I may go for a day trip to Koh Si Chang or someplace similar out of Bangkok. That is another question, where to get a quicker ride (than the bus) to Siracha? I should probably take that question to the BKK forum though. there is a minibus service from u-tapao to rayong via ban chang, run by BH rayong, as well as taxi's, you did not say where your hotel was so that depends on if it is in ban chang or phala, phuyan or else where, but to say these things do not exist is not very informative/helpful of the hotel you have chosen. there are plenty of daihatsui open back type taxi's around, how do you think others get around, normal car type taxi's are available, as is car hire. it seems to me you were anti ban chang before you post, you seem to have your mind made up, instead of asking the questions, before posting that you hear they don't exist, so maybe you would be better off at the busy normal tourist beaches. Thanks, very helpful, accusation aside. I have not made up mind against Ban Chang. I was discouraged and concerned by the information I received. Yes it was unhelpful of them to leave me so uninformed. I believe I did say something about Phala Beach in my original post. I still have my hotel and have already made my flight reservations. Just a bit concerned about getting a ride to U-Tapao at 5:00 am when a taxi needs to drive 50 minutes to take me 15 minutes up the road. Google Ban Chang Taxi, they are always prompt, no problem. Amazing, that anyone would recommend a Mini bus service. Do you wish him dead? Personally I’ve always found it very difficult to get to Ban Chang, be it from BKK or Pattaya, unless you have your own vehicle or use a taxi. 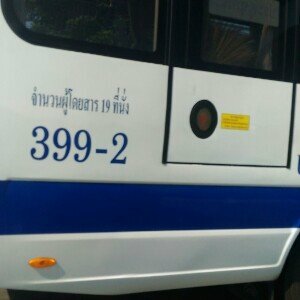 i would never use a mini bus service, but i have a choice of my own vehicles to use, i don't agree that Thailand as large tourist country use minibuses as their main source of transporting people about, but tourist are stuck with what there is, other then renting a vehicle , i informed the op of the available solutions without recommending anything. so live up to your name and be a realist, there is what there is. Hi. Thanks for your interest. I'll be staying two nights 7/2-3, departing from U-Tapao for Chiang Mai 7/4. As for arrival time, I've not got that figured out yet. I would like to get out of BKK pretty early, and take the fastest conveyance I can to get to Ban Chang. I would hope to arrive no later than 10:00 am. The hotel offers to arrange transport for 2200 Baht from lower Sukhumvit. I know I can do better, but I'm not sure what the best way would be to hustle transport. I really don't feel like schlepping my suitcase on the skytrain to Ekamai or On Nut. I suppose I could get a taxi out there. What do you think I oughta do? BTW: I lived in Thailand for 3 years back in the late 80's. I well know the struggle to keep one's money in one's pocket. I'm not afraid to pay for convenience now that I am in my 60's though. ^Hope you enjoy your stay. The air quality in Chiang Mai will hopefully have improved by then.